When you ask a curly about their hair journey, you will likely find that it has taken them years to grow out their heat damage while going through weird transitions to reach the point where they are at now. Not to mention the time consuming pre-poo and conditioning treatments we do to keep our hair healthy. Curlies have come to accept that there are no overnight miracle treatments for health and growth, and that those things take time and patience. Curlies love to experiment, and those experiments can fail and leave you with horrendous results. Grease ball hair, dry scalp, hair breakage, hair loss, etc. But even through our fails we choose to not give up and keep looking for new ways to keep our hair healthy to reach our goals, we refuse to lose! We live in a society that misunderstands curly hair and adores pin straight hair, and as a result the notion of wearing their hair naturally curly has become a scary concept for many women hiding behind straighteners and perms. Indeed, it is scary to against the norm, but we curlies love a good test to stick it to the man and scream, “I love my crazy hair!” even though we may get crazy stares from others (which we secretly love). Flat hair one day, and crazy volume the next. Dry roots one week and greasy roots the next. 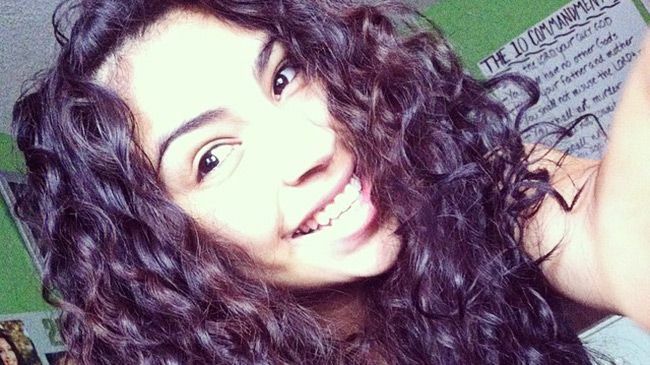 Any curly will be more than ready to say that their hair has a mind of its own. But that’s okay! Instead of freaking out over little imperfections, naturals have learned to wake up in the morning and say, “Well, I guess these are my curls today” and we do what we can to rock our hair of the day! We work with what we got. Ever heard of OOTD? (outfit of the day). Well, we have HOTD (hair of the day). “You do what? !” is one of the most common responses curlies will receive from those who are not very experienced in the curly hair field. Yes, we use vegetables in our hair. And yes some of us have completely ditched shampoo altogether. But that’s because we do what is best for OUR hair, not what is best for everyone else’s locks. We do what we gotta do boo. It don’t matter if we look crazy, as long as our hair looks crazy cute to US!